The jazz orchestra is a notoriously expensive beast, which is why relatively few jazz composers choose to work with it. 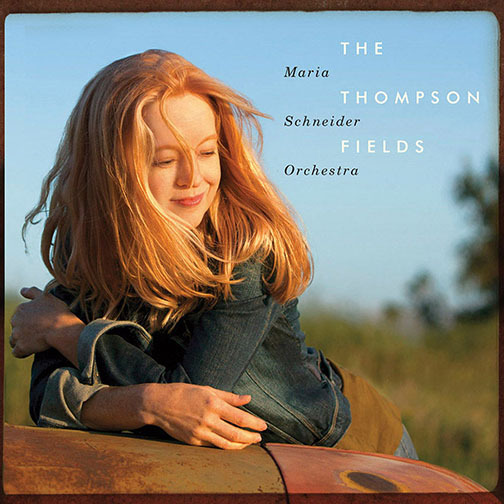 Composer and band leader Maria Schneider is one of those few. Over several decades she’s defied economic logic to work exclusively within the medium, refining her art as composer and arranger to the point where she now has few if any peers. Her latest album, some 10 years in the making, shows just what a supple and powerful instrument a jazz orchestra can be. The title refers to a farm owned by some family friends in the South-West corner of Minnesota, near where Schneider was raised herself. It’s unspectacular country, apart from those occasions when a storm boils up on the horizon, but Schneider loves it deeply. The eight numbers on the album, all composed by Schneider, evoke its quiet, unspectacular beauty. The liner notes are an indispensable part of the experience, picturing the landscape and its wildlife through Audobon’s bird paintings and photographs of country lanes that to a British viewer look remarkably familiar – until you turn the page and encounter another image, which shows this landscape is on an altogether vaster scale.